New Generation Artists: jazz bass player Misha Mullov-Abbado performs his own The Bear and Pavel Kolesnikov plays Louis Couperin. New Generation Artists. 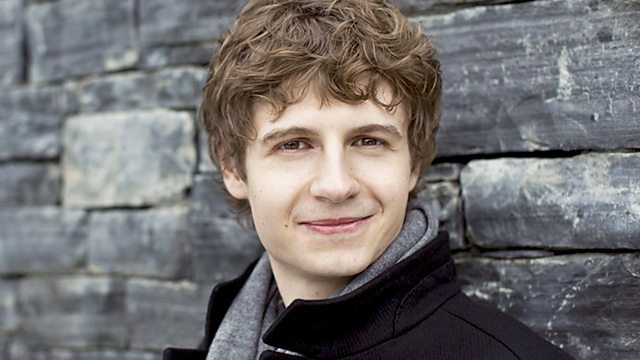 Today Pavel Kolesnikov plays a sombre work by Louis Couperin, the Apollon Musagète Quartet plays a string quartet by Gossec, a one-time pupil of Rameau, and current NGA, Misha Mullov-Abbado is joined by his jazz group for one of his own numbers. Ensemble: Misha Mullov Abbado Group. Performer: Anna Tilbrook. Singer: Ashley Riches. Bringing young musicians on the threshold of international stardom to the world.